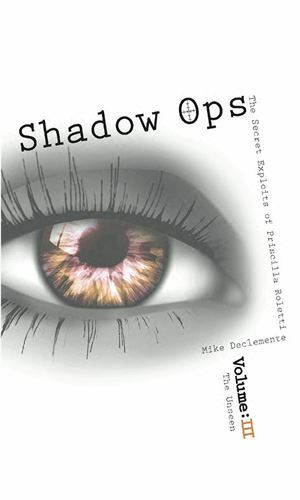 Priscilla Roletti is an agent with Shadow Ops. That small but effective covert organization is "linked to the CIA", which allows them to get the really nasty jobs the Agency would love to disavow but which need doing nevertheless. It is headed by John Derlin, a highly experienced former operative who wears an eye patch as a souvenir of his action during a previous war. 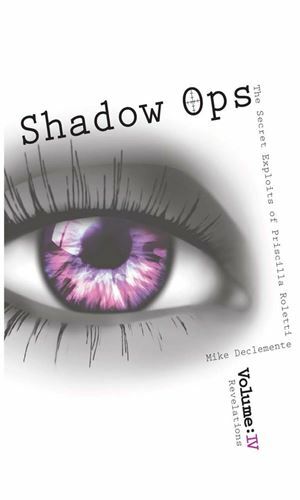 Housed in several floors of a black-tinted high-rise office building, Shadow Ops has had several very successful years and earned their reputation, one of the reasons being the talents and drive of Roletti. Though successful, Roletti was human. As her boss saw it, "Priscilla was one of the best agents to ever come through the ranks since Shadow Ops was founded. John had complete trust in her. That was something he didn’t have with many of his agents under him. He knew that when she was on a job, she followed it through to the end and made sure there were no loose ends. However, she was far from perfect… there was still a lot of rough edges that needed to be smoothed out, and fast because in this line of work, running around with a chip on your shoulder and a mad at the world attitude would lead to your demise pretty quickly." He would observe that she could be "brutal, blood thirsty, and very reckless" and he worried she was moving to the point of needing to be pulled off field duty when her life, and her attitude, changed. The manner of this change makes up a good portion of first recorded adventure as a flashback [and will not be spoiled here]. Now, when we first meet her, she is in her early 30s. Her drive and determination are still as strong as ever and her ability to carry out her mission with whatever intensity or viciousness was required had not diminished but the shoulder chip was gone and when the action was over, she gladly comes home to her two children, Patricia, around 10 years old, and Jonathon, 5. Priscilla Roletti is a highly skilled, experienced, and effective agent with 'Shadows Ops'. She is also a single mom with two kids to raise. Trying to handle both worlds at the same time is impossible but she is determined to do it anyways. Carmine Christie is a government witness who has info that can cause enormous trouble in the terrorist world so a lot of people want him dead and pay for a team of assassins to get the job done. Protecting him on a road trip across the US is Priscilla Roletti. On a successful mission in Columbia, Priscilla Roletti discovered that cloning material was being smuggled into that country by a drug lord. It suddenly becomes her job to find out what the purpose is which puts her up against a scientist names Hans Goring. The scientist she recently fought, Hans Goring, is offering something that will change the way troop warfare is conducted. Priscilla Roletti's job is to stop him but she has made a sizable list of people who want her dead so getting her job done is going to be interesting. Her professional life is rapidly nearing its end. Her boss is under arrest. An old enemy is determined to destroy her. And those closest to her are in danger. It will take all the skill and luck Priscilla Roletti has to survive. There were huge sections of this series I enjoyed a whole lot. I say that up front to lessen the impact when I talk about the fact that there are several parts where I have no idea who the players are or what is going on. I figure I was just supposed to be quiet and follow along but I've always taken the stance that unless it is meant to be a mystery, keeping the reader in the dark is not a good thing. And that is the only gripe I have about the series. Once I finally got a handle on who was whom, things went pretty good. Roletti is a fascinating character. Cold-blooded at work but warm-hearted at home. Deadly eye with a sniper rifle, hand gun, or a throwing knife but not quite able to defeat her five-year old son at video games. A control freak in the field but struggling getting her tween daughter to clean her room [well, okay, I'm with her there]. 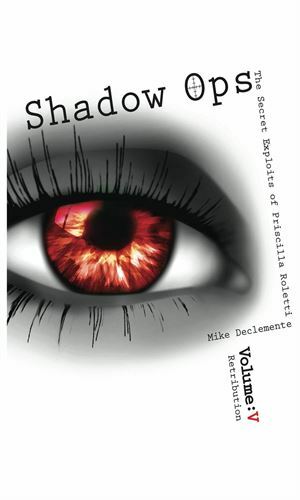 One thing that the author should be especially congratulated about is his way of ending the series. It ended. Very nicely. If he chose to continue, he let it open enough so he could but if he decided to let it lie, it would lie there very nicely. Great job.